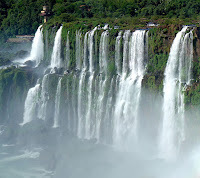 Iguazu Falls (also called Iguacu Falls) are known throughout the world as one of the most beautiful and majestic natural waterfalls man has ever seen. 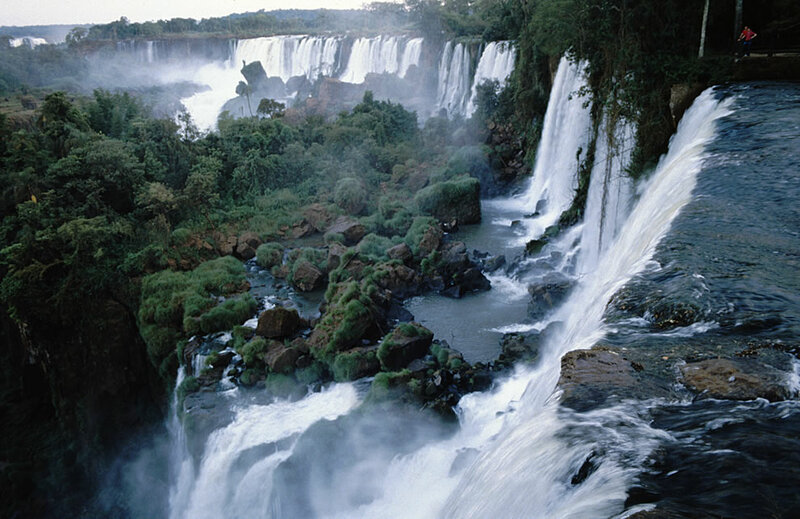 The falls themselves sit on the Iguazu River and rest on the border between Brazil and Argentina. Visited by many people every year, the Iguazu Falls are one of the more popular natural tourist destinations in South America. 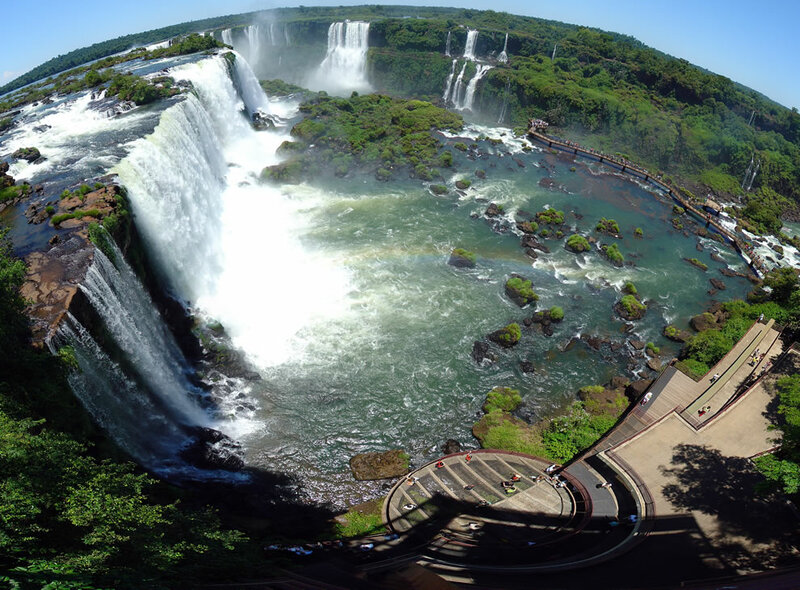 The falls themselves sit on the Iguazu River and rest on the border between Brazil and Argentina. Visited by many people every year, the Iguazu Falls are one of the more popular natural tourist destinations in South America. The name Iguazu simply means "great waters" in the local Indian language. According to legend, the great waterfall was created in an outburst of rage by the god of the Iguazu River, who lived in a particularly wild and violent area of the downpour called the Garganta del Diablo (Devil's Throat). The Falls are close to the point where the Iguazu and the Parana rivers join and the boundaries of Brazil, Argentina, and Paraguay converge. The countries are linked by two bridges: the Amistad (Friendship) Bridge between Brazil and Paraguay, and the Tancredo Neves Bridge between Brazil and Argentina. 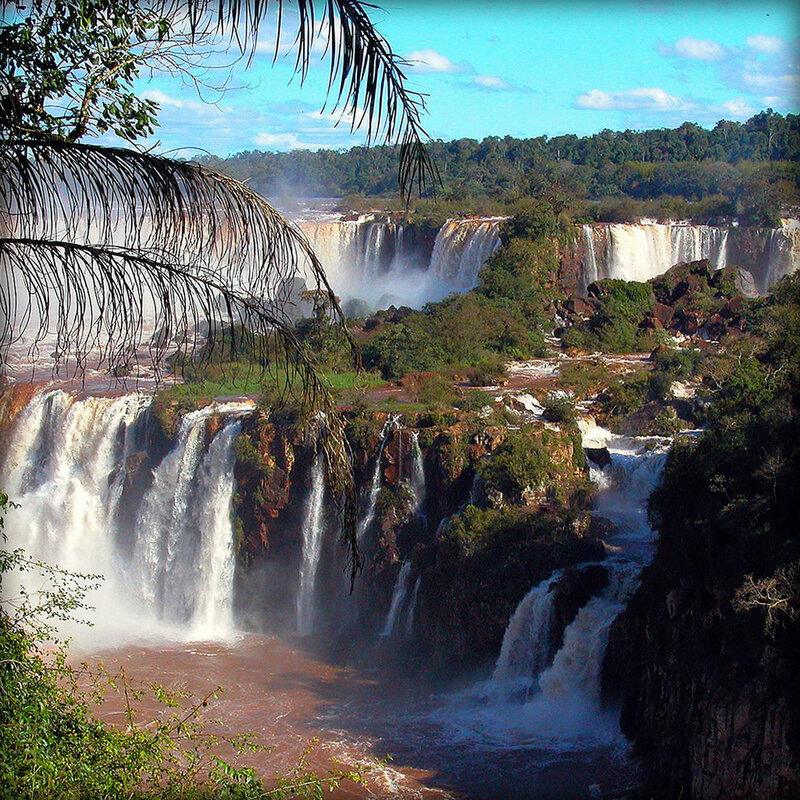 March to November is frequently considered the best time to visit the Iguassu Falls. But, in reality, there isn’t a best time. It depends on what you value most. The high season is in January and February, when most Brazilians and Argentineans are in holidays. 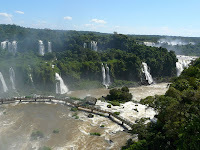 For those who want to experience the splendour and the impressiveness, that’s a good period to visit the Iguassu Falls. But… there are some downsides. The sky is bluer (it’s the peak of the summer) and the volume of the waters is high, but the humidity and the heat are also at their highest levels (as are the hotels prices and their occupation). And this is also a crowded period, you might wish to avoid. If you want to avoid crowded periods, avoid the Easter time also. 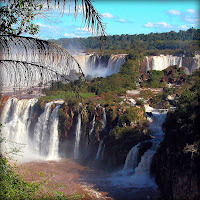 There is a strong Brazilian and Argentinean tradition to visit the Iguassu Falls in Easter. Vast throngs of tourists invade the place in Easter, crushing the quietness of most of the year. If you want to bet on low hotel prices, this is not a good season, either. May and July are rainy months and the volume of the waters is at its maximum. The rain is rarely a problem, except for those who are looking for a quick day visit. In that case, the rain may strike the unfortunates.